The famous man was born on 18th July 1921 in Cambridge, Ohio. 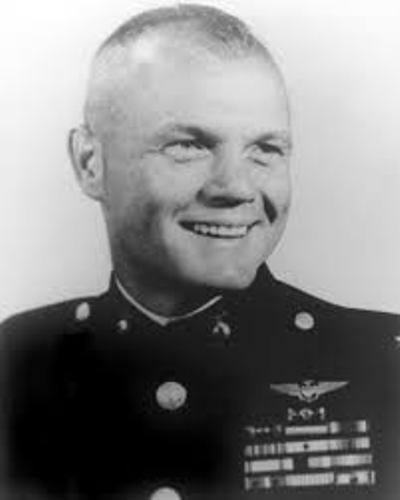 His full name is John Herschel Glenn, Jr. His father is only a plumber named John Glenn, Sr. His mother was Clara Sproat Glenn. John Glenn married to Anna Margaret Castor on 6th April 1943. Both have two children. The first child is Carolyn Ann who was born on 19th March 1947. The second one is John David who was born 13th December 1945. He was the student in Muskingum College from 1939 to 1942. He served the United States Marine Corps with the position as a Colonel from 1943 to 1965. During the World War II and Korean War, he was in 149 missions. With such a big contribution, Glenn collected a lot of achievements such as The Distinguished Flying Cross on six occasions and some medals. He became the pilot of US marine in 1943 after he finished a flight training program. In March 1942, he was enrolled to the Naval Aviation Cadet program. He participated in World War II in 1944. At that time, he flew for 59 combat missions. In Korean War, he has 90 combat missions in 1953. During the Korean mission, 63 missions were with the Marine fighter squadron 311, while the rest 27 missions were with the 5th United States Air Force. 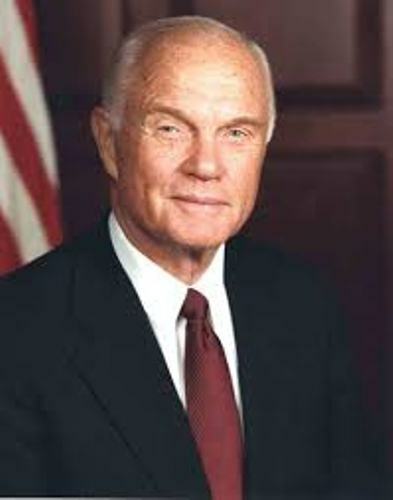 At the Naval Air test center located in Maryland, John Glenn enrolled to a test pilot school after he finished with the Korean War in 1954 to 1956. In 1957, He made a fascinating record for his flying speed. He only needed 3 hours and 23 minutes to reach New York from Los Angeles. Due to his contribution and skill, he was appointed to take part in Project Mercury. He was appointed by NASA as one of the seven astronauts in April 1959. 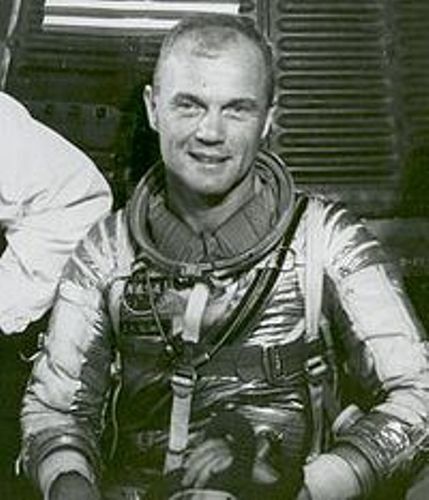 John Glenn was appointed as the backup pilot since he was the oldest one in the groups. 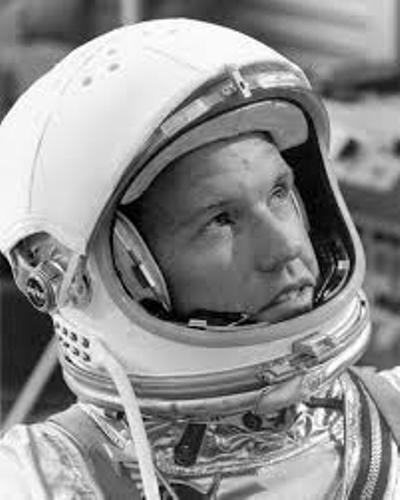 Other members in the Project mercury include Virgil I. Grissom and Alan B Sheppard Jr. Find out another prominent astronaut in Neil Armstrong facts. The Friendship 7 is the name of the space capsule launched by an atlas rocket in February 20, 1962. It set the record for the capsule with Glenn inside it circling the earth in 4 hours and 56 minutes for 3 times. It made him as the first American to orbit the earth. John Glenn decided to resign from the astronaut program of NASA in January 1964. 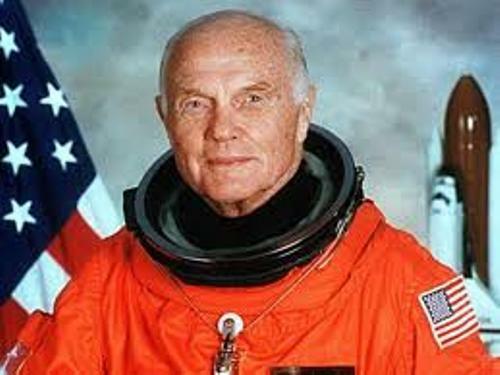 Are you inspired with facts about John Glenn?